Former employees of cryptocurrency mining and manufacturing giant Bitmain who focused on bitcoin cash development are planning a new startup that will offer crypto financing-related services, CoinDesk has learned. According to two sources with knowledge of the matter, the former employees include those from the mining giant’s Copernicus project that was impacted by a company-wide layoff last year. The sources said the former Bitmain team members are planning to launch a new firm that will provide services such as cryptocurrency custody, over-the-counter (OTC) trading and crypto lending. One of the sources said it’s known in the industry that there have been two camps inside Bitmain – one aligned with co-founder Jihan Wu that focuses on blockchain and bitcoin cash development and the other with co-founder Micree Zhan that designs crypto mining chips. And the team forming the new startup mostly comes from Wu’s old crew, the source added, including those from Copernicus, a project Bitmain rolled out in 2018 to boost development for bitcoin cash and the wormhole protocol. The project has had no technical updates on Github since December of last year amid the company-wide layoffs. 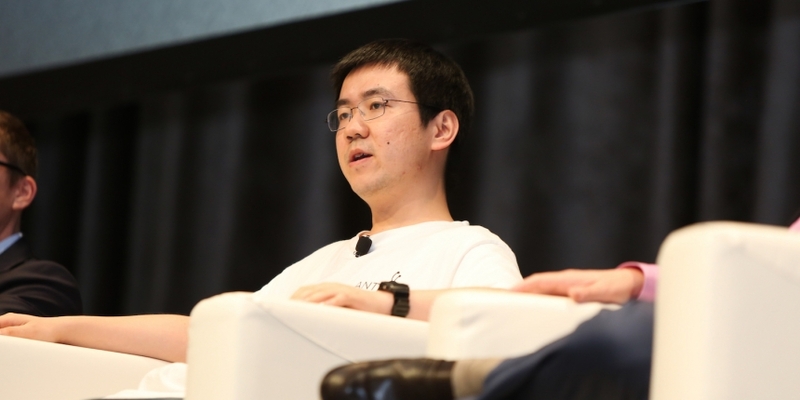 It is unclear how many former Bitmain employees will be involved in the new venture at this stage. A second source told CoinDesk it may also have the name of Yuesheng Ge, a major shareholder of Bitmain, on the new firm’s incorporation paper, but not Wu’s name. And the first source indicated it’s known that Ge has long been aligned with Wu in Bitmain’s operations. A Chinese media outlet previously reported that former Bitmain employees are launching a new startup called Matrix but did not provide details about what the firm aims to do. The report also said Wu may take charge of the project in the future while Ge will serve as the new company’s CEO in the meantime. A spokesperson for Bitmain said “no comment” when contacted by CoinDesk regarding the former staff’s plan and potential involvement of the company’s two major shareholders, Ge and Wu. However, the spokesperson said Wu will not be leaving Bitmain. According to the initial public offering prospectus (IPO) Bitmain filed with the Hong Kong Stock Exchange (HKEX) on Sept. 26, 2018, Ge owns about four percent of the firm’s total shares and was listed as an executive director of the board and principal of investment. In November, a business registration change indicated Ge and Wu had both left the board of Beijing Bitmain Technology, a subsidiary of BitMain Technology Holding Limited, the entity that’s applying for the IPO. Another source familiar with Bitmain’s IPO process told CoinDesk that when the firm updated its financials with the HKEX in recent months, Ge remained as an executive director and there was no change to the positions of Wu and Zhan as the company’s co-CEOs. But this source added that if Bitmain’s holding company disclosed any substantial change to its management, its IPO would almost certainly fail since the HKEX has a clear requirement for a listing applicant to maintain management continuity during its track record. If Bitmain does not graduate to a listing hearing by March 26, six months from the initial filing, its IPO application will lapse. This has already happened for two of its mining rivals, Canaan Creative and Ebang, although the latter has filed a new application. The HKEX is said to be reluctant to approve IPOs for these firms due to questions about the sustainability of the mining business.